There are currently two Fisher Houses located at Wright-Patterson AFB, Dayton, Ohio, and the newest, third house located at the Dayton VA Medical Center. 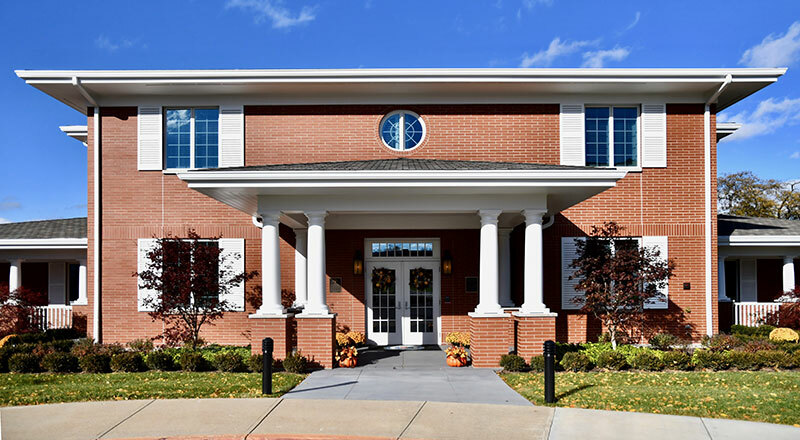 The Dayton VA Medical Center Fisher House I, located at 4100 West Third Street, Bldg 425, Dayton, Ohio, opened in October 2018 and is a two-story, approximately 13,500-square-foot home. On the first floor, to the right of the entry hall, is the living room and to the left is the dining room. Straight ahead are the stairs to the second floor (there is also an elevator). There is also a full kitchen with a three Subzero refrigerators and three Subzero freezers, two sinks, two dishwashers, two stoves, two sets of double ovens and two microwaves on the first floor, as well the family room, a laundry room (with three large capacity washers and three large capacity dryers) and a half bath. At each end of the first floor are four suites, each with a handicapped accessible bathroom. On the second floor, there are eight bedroom suites, each with a private fully-appointed handicapped accessible bath.